Paris 1 – Avenue de l’Opéra, very close to the Louvre, the Palais Royal’s gardens and the Tuileries. Located within a superb luxury building, 203 sq.m apartment (173 sq.m law Carrez) on the 6th and 7th floors (last floors) offering very beautiful unobstructed views. Excellent plan without lost space: elegant entrance gallery with glass walls, double living room, dining room, separate kitchen (fittings to create), 2 bedrooms, bathroom. Small balcony at each window. 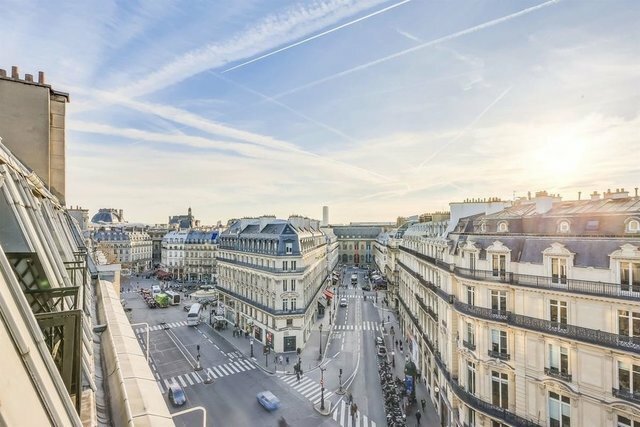 On the 7th floor, very large room allowing to create either a large master suite either 2 bedrooms / bathroom and dressing room, wonderful view of the Eiffel Tower. Reparations needed. West orientation, very sunny. Cellar. Exceptional and sought-after location. Paris Ouest Sotheby's International Realty.